Logan Pass is the crown jewel of the Going-to-the-Sun Road, which is where the Highline Trail begins. You will traverse a little shelf on the cliff that has been carved for the road, with a cable to grab hold of if needed. From there, you will head across the alpine meadows with short stints into trees. 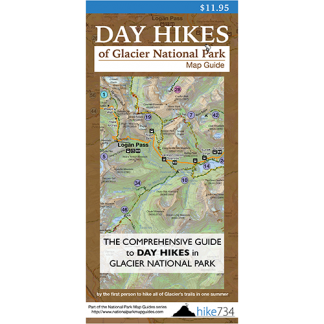 You will also go past streams, creeks, avalanche chutes, wildflowers, animals, and more – the best that Glacier has to offer. The views across the Logan and McDonald Creek valleys below and the stunning summits of the Livingston Range are truly breathtaking. The steepest section of the hike is going up and over the saddle that separates Haystack Butte from Mt. Gould. This area makes for a great lunch spot and is a nice turnaround for those looking for a shorter trek. 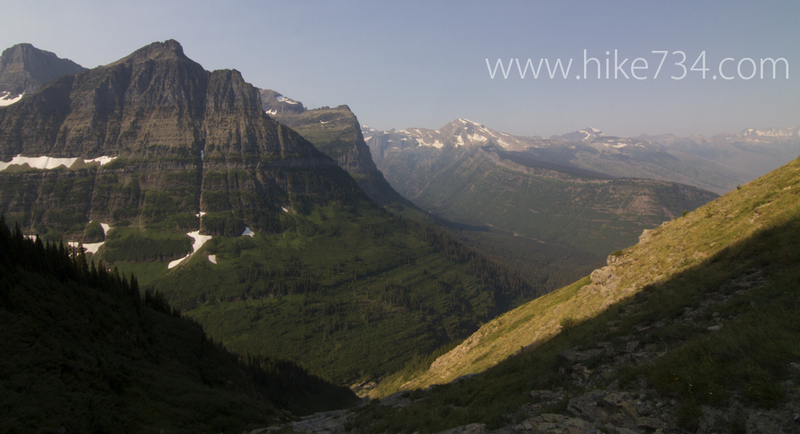 Continue on the trail until you come to a junction for the Grinnell Glacier Overlook. For those with energy to spare, this side trail and the view it takes you to are worth the effort. At the overlook, you straddle the Continental Divide and look down to Upper Grinnell Lake and Grinnell Glacier, as well as out into in the Many Glacier area of the Park. Once back at the junction, you are 0.7 miles from the historic Granite Park Chalet, which is another great place to catch your breath and refill your water bottle. Keep your eyes on alert in this area, as the pass and the meadows attract both deer and bears. From Granite Park Chalet, it is four miles of downhill hiking through the burned forest to the Loop. The Park’s free shuttle is a popular way to experience this hike. If you prefer hiking more uphill than down, you may want start at the Loop in the cool of the morning and work your way up to Logan Pass. Trailhead: Located across Going-to-the-Sun Road from the Logan Pass Visitor Center parking lot, or at The Loop, depending on the direction you are starting from.